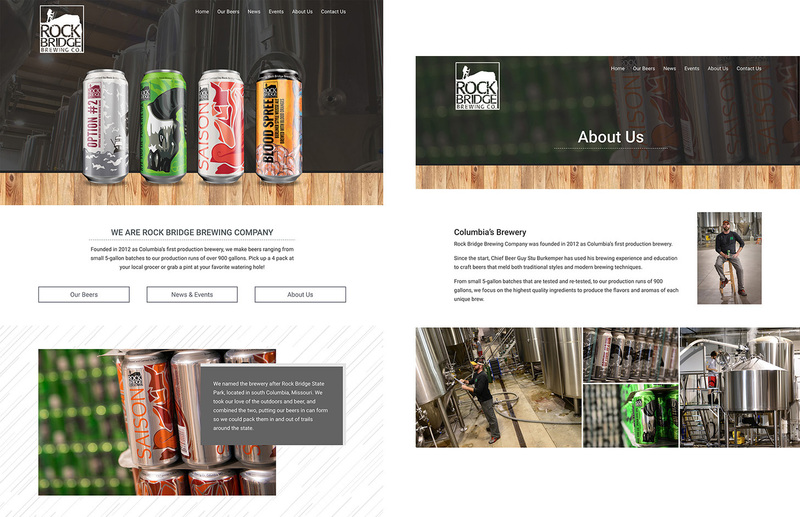 Having worked with Rock Bridge Brewing Company since 2013 on a variety of beer can designs, Hub & Spoke recently expanded its role by helping the Missouri brewer launch a new responsive web design. 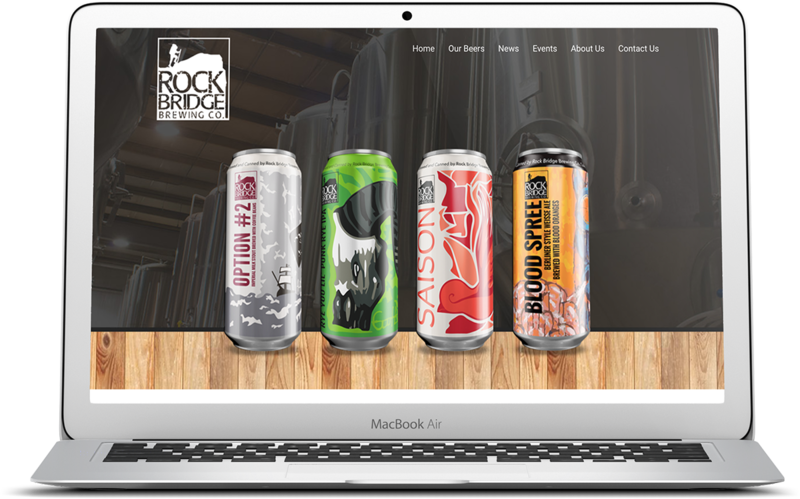 Rock Bridge Brewing Company's old website was based on a poorly designed template, with limited functionality and no mobile-friendly elements. Along with those downfalls, the website had outdated content and lacked anything specific about the brewer, such as imagery of their brews. Working closely with them, we developed a website that was inspired by their beer taps and can designs, featuring a minimal design with wood tones. The new site, which works on all devices, includes an events calendar and news section, giving them a way to update fans. Hub & Spoke also worked to capture original photography of the various beers and brewing equipment for the website design.